“Good morning. This weekend marks a bitter anniversary for the people of Iraq. Fifteen years ago, Saddam Hussein’s regime ordered a chemical weapons attack on a village in Iraq called Halabja. With that single order, the regime killed thousands of Iraq ‘s Kurdish citizens. Whole families died while trying to flee clouds of nerve and mustard agents descending from the sky. Many who managed to survive still suffer from cancer, blindness, respiratory diseases, miscarriages, and severe birth defects among their children. “The U.S. military has used poison gas and other non-conventional weapons against civilians in Fallujah, eyewitnesses report. 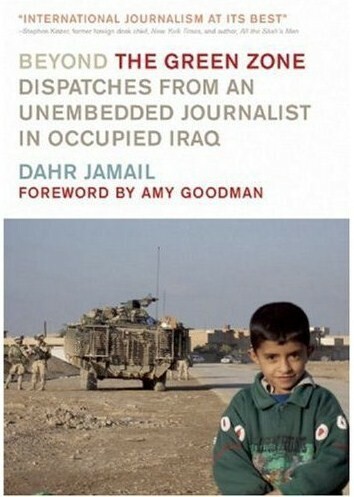 Hammad is from the Julan district of Fallujah where some of the heaviest fighting occurred. Other residents of that area report the use of illegal weapons. “They used these weird bombs that put up smoke like a mushroom cloud,” Abu Sabah, another Fallujah refugee from the Julan area told IPS. “Then small pieces fall from the air with long tails of smoke behind them. The context within which facts are presented has an inherent and inescapable influence on their interpretation. The context is essentially the product of various consciously and unconsciously imposed frames – providing a set of assumptions or standards via which the facts are to be understood. This context may not necessarily be supported by the facts, but the very method of offering them within it can be enough to either alter or bring into question their meaning. This system of ‘balancing information’ is essentially aimed at nurturing doubt. And while the above outlines an overt plan to undermine public perception, the creation of distorting frames can be similarly influential. These frames may lead the reader to believe they are interpreting the facts without prejudice; however, the preconceptions imposed by these distortions can imbue uncertainty which inevitably leads to an incorrect or biased understanding. This manufactured doubt is again likely to repress ‘motivation to take action’ – ensuring, whether the writer intends it or not, that the reader remains a passive consumer. In practice, distorting frames have been shown to turn common sense interpretation of verifiable facts on their head. Such that in this manufactured context – lack of evidence of a nuclear arms program points towards faulty intelligence, hostility towards occupying forces points towards outside interference and free and fair elections points towards a burgeoning dictatorship. [Former] Argentinean President Nestor Kirchner called President Chavez a “great democrat” and said he wished politicians in Argentina could practice the same recognition of democratic results. As discerning media readers will know, this is nothing new; the mainstream media appears almost completely reliant on the Washington perspective where international news is concerned. “It is an extremely serious challenge. From Venezuela to Argentina the region is falling out of US control, moving toward independent policies and economic integration, beginning to reverse patterns of dependence on foreign powers and isolation from one another that go back to the Spanish conquests. This inconsistency reveals a disparity of understanding as to what constitutes ‘democracy’ – between those that practice it independently and those who wish to impose it externally. In relaying events within the Washington context the media is compelled to understand the situation in those terms, the underlying assumptions, as we will see, appear to be shaping the coverage, the ‘facts being fixed around the policy’ as it were. The dominant frame that runs almost without exception throughout Irish mainstream coverage is that President Hugo Chavez is on the road to becoming a dictator. While it is perhaps counterproductive to introduce a distorting frame, it is necessary to recognise it in order to dispel it. This pervasive distortion of easily identifiable fact reinforces an underlying and corrupting ideology behind much of the mainstream reporting on Venezuela. That numerous intelligent and critical thinkers, which many journalists no doubt are, can settle on the same misrepresentation, one that coincidentally pars with the rhetoric of powerful Western leaders, either constitutes an amazing turn of chance or simply further evidences the embedded nature of corporate journalism. The inversion of logic and truth here is astounding – the distorted interpretation of democratic referenda is extrapolated to declare the existence of a dictator. This goes beyond mere lazy journalism and takes us well into the territory of willful misrepresentation, as always, presented as informed critical analysis. In the mainstream media vision Chavez does not ‘run’ or ‘lead’ the country like Western presidents and prime ministers, he ‘rules’ or ‘reigns’ over the country. He does not ‘lead’ a revolution; it is ‘his revolution’. This idea fits perfectly within the context of ‘the dictator in waiting’, despite the fact let us remember, that it is only through numerous public votes that the revolution has been progressed. Which is to say it is far from the truth and seeks only to further undermine the ‘democracy’ Venezuelans have chosen. The economic and social revolution spear headed by Hugo Chavez has seen unprecedented popular support, and not just from a formally marginalised majority – the poor. It can only be from an elementary misinterpretation of this democratic backing that the mainstream media have seen fit to attribute the entire success, though it is rarely described as such, of the program to the President. And it is clear that far from being proof of an electoral attempt to temper ‘Chavez’s revolution’, the recent defeat of the referendum, marginal as it was (51/49), was simply evidence that the revolution will be progressed on the people’s terms. In accepting the ‘dictator’ frame and thus fully internalising the ‘rich, frustrated’ oppositions rhetorical position, a predominant feature of the Venezuelan mass media (a fact we are rarely exposed to), her colleagues in the Irish and Western media may have inadvertently internalised the underlying prejudice exposed in Pilger’s exposition. Alternatively, they may be well aware of what they are doing – eager only to prove their credentials to the mainstream media club which has so far rarely failed to support the Washington agenda. The unpalatable reality of militarily imposed ‘democracy’ thus successfully whitewashed, the perpetrators exonerated and the truth disappeared down the memory hole. And through this contrarian approach to analysis of democracy, a clear message sent to those not yet conforming – only when ‘we’ are there to hold your hand can you try democracy.